99% of the time when people ask, “How are you?” I respond with an overly cheery, “I’m good! How are you?” And I get this question so many times a day. Honestly, sometimes the question kind of bothers me because usually we say this to people in passing, not expecting them to say anything but “good.” What if they said “bad?” That’s not what we are expecting from people, but in reality, it’s the truth sometimes. Do you do the same thing? Do you instinctively respond with “good” no matter how your heart truly feels? I guess a better question is, are you actually good? Overwhelmed is the best word to describe my life recently. Overwhelmed with thankfulness for my life. Overwhelmed with schoolwork. Overwhelmed with God’s goodness. Overwhelmed with the responsibility of doing school during the week and overwhelmed with the privilege getting to disciple students every weekend. I’ve had the best semester so far, and I can’t believe I’ve only been back at school for three weeks since winter break. It’s felt like months. For those of you who don’t know, I have the incredible opportunity this semester to serve on YouthQuest, a traveling discipleship team through Liberty. Just to give you some more information on what that looks like… It means that I leave Friday morning for a road trip with my twenty awesome teammates to a church usually somewhere in North Carolina or Virginia, and we host a Discipleship Now (DNOW) weekend for the youth group at the church, which consists of three main sessions throughout the weekend with worship, acting, and powerful teaching, all led by our team, then we go to host homes for the two nights and have gender-based small groups (this is my favorite part!). 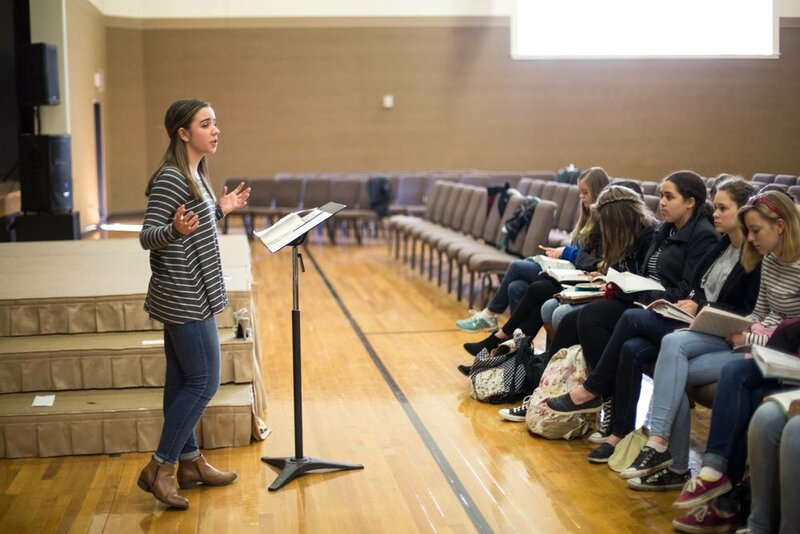 On Saturday, in addition to the two main sessions, we have fun activities and girls and guys workshops, and part of my role on the discipleship team is getting to lead workshops for the girls! Saturday night is always powerful, being the last session of the weekend and we always stay up way too late talking to the students. Then on Sundays, we join the church for the main service, pack up, and head back to Liberty, exhausted but filled with joy for what God has done. So that is basically what this semester consists of for me, and although I’ve only been on two weekends, I have already been so blessed to be on this team. I get to be constantly surrounded and encouraged by some of the most godly people I know. These people have truly learned what carrying our cross daily looks like. They have such deep relationships with the Lord and have a passion for youth, and it has caused me to deepen my own relationship with the Lord so much already. With all of that being said, that also means that all my homework for the week has to be done Monday through Thursday, which creates a lot of stress. I’m not one to procrastinate or leave things to the last minute, so I freak out if I don’t get everything I need to done before the weekend comes. But the rewards are beautiful because I get to see students put their faith in Jesus for the first time and see others deepen their walk with the Lord so much in just two days, and I would not trade it for anything. 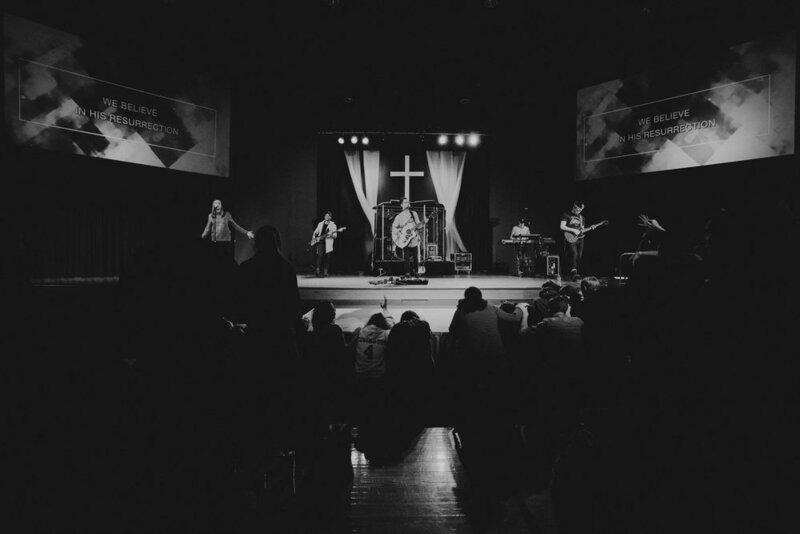 This blog is mostly just an update on life right now, and I would love for you to pray for the ministry I am doing this semester and in the semesters to come. Pray for strength and perseverance and abundant joy when I get exhausted. Pray for the students I’ll be with to have softened hearts to receive the gospel. And pray for my team as we travel almost every weekend this semester that we would grow together into a family of believers and truly impact the world for Jesus Christ. Lastly, I started this blog saying that I was overwhelmed, and it’s definitely in the best way possible. But has God overwhelmed you recently? If you feel underwhelmed by what God’s been doing in your life, pray for God to ignite a spark in you. Pray for him to overwhelm you in the best way possible because when you truly grasp how wide and high and long and deep the Father’s love for you is (Ephesians 3:18), you’ll be constantly living in a state of overwhelming joy for what God is doing. I’ll be praying for you to sense the magnitude of God’s love and to see how powerfully he works even in the little situations of our lives. Here is one of my favorite pictures from my first week!